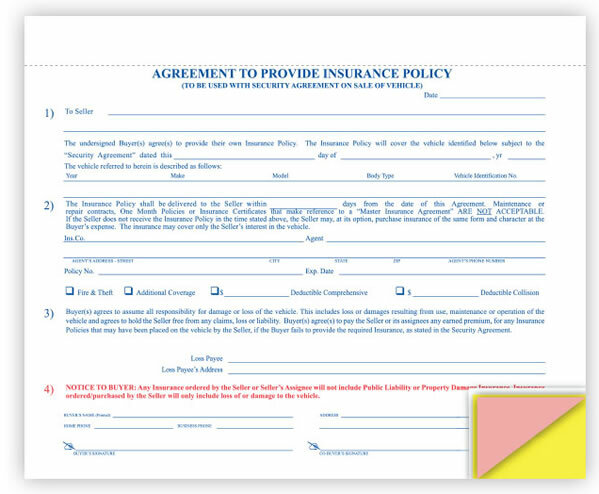 Item Size: 8-1/2" x 7"
This Agreement to Furnish Insurance Policy helps protect yourself and your customer. This form helps ensure that all sold vehicles will have insurance. This form is a must have!